Now Live the Maharaja Life for 50% Less! In what is seen as a smart move by IRCTC, the Maharaja’s Express has announced hefty discounts on its forthcoming 2013-14 journeys. Guests can avail a direct 50% discount on every second ticket that they buy. 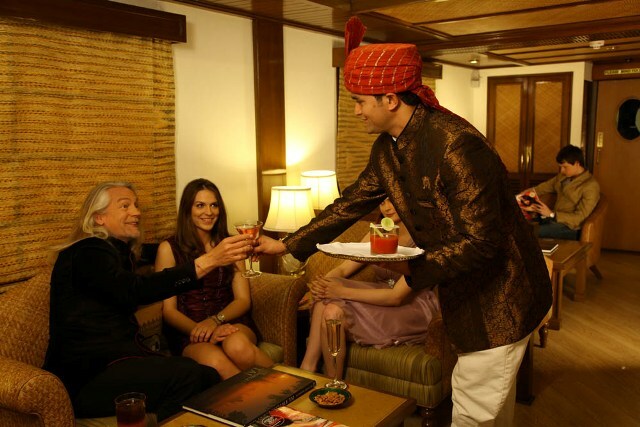 The offer is especially meant for couples and groups looking to rent the Maharaja experience with the most luxurious train in the world. The offer is valid for Indians living in India and abroad including People of Indian origin (PIO), Non Resident Indians (NRIs) and Overseas Citizenship of India (OCIs). The exclusive offer is valid on selected November and December, 2013 journeys. The exact journeys on which this discount offer can be availed are Gems of India on 27th of November, Indian Splendor on 09th November 2013 and 07th December 2013, Heritage of India on 16th November 2013 and 14th December 2013, Treasures of India on 27th October 2013 and 24th November 2013, and Indian Panorama on 02nd November 2013 and 30th November 2013. The train is virtually a five star hotel running on wheels and includes state-of-art amenities like in-suite electronic safes, bath tubs, live TV, personal butlers and more. The train runs on 5 pan-India journeys, each themed on a different region and culture. More general information about the train can be read here.